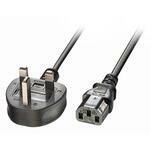 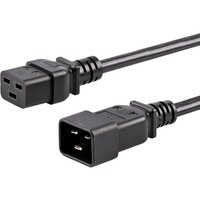 Cables with IEC C13 sockets such as this are sometimes known by the generic term 'kettle lead'. Even though this term is commonly used, technically it is incorrect as a kettle requires special IEC C15/16 connectors rated at 120 degrees. 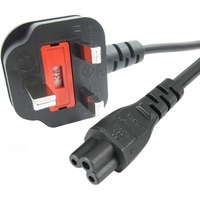 So, although they look similar, a 'real' kettle lead features a connector with a cut out on the top. 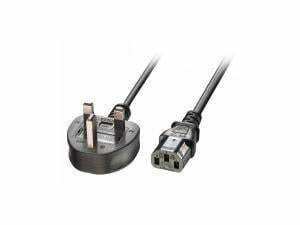 Standard IEC C13 cables cannot be plugged into kettles!